Prom and Homecoming only come around once a year, so make this year’s dance a special one with San Antonio Top Limo. Take your choice of one of our luxurious limousines, and get ready to roll up to the dance in style. Let this Prom or Homecoming be the best one you’ve ever had, and give San Antonio Top Limo the opportunity for that to happen. Grab some of those friends you want on the limo with you, and get ready to party on. ​Choose one of our luxurious limousines for your event. Prom and Homecoming are a very special occasion, and arriving there like a King or Queen can be remembered forever. Make all of your other friends who didn’t get the spot in the limo jealous, as you step out right at the front door to head right to the dance floor. If you want to bring those extra friends along, we’ve got you covered. 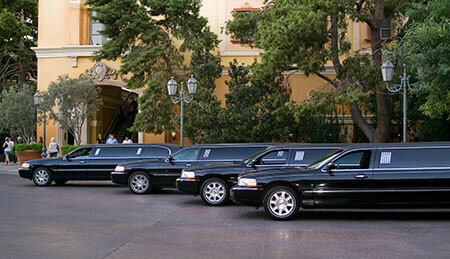 Choose from our sleek stretched sedan limos, SUV limousines, or Hummer limousines. The bigger the limo, the more eyes it will catch as you roll up. With all the room you need, call up your favorite friends and tell them you’ve got their ride covered in a luxurious limousine. Rent one of our giant SUV’s for all those extra friends, or get even more in with our Texas-sized 22 passenger Hummer limousine. This bad boy is sure to catch the attention of everybody around. With its massive size and amazing equipment inside, you’re sure to have a blast even before you get to the front door. So call up those other 10 couples who are ready to party, and tell them you’ve got the ride that will make them feel like royalty. Our chauffeurs will treat you like the King and Queens of the night. Make an appearance at the dance with a professional driver dropping you off right outside the front door. Get ready to have some pictures taken as well with the crowd you’re going to create. Have one of our awesome limousines in the background right behind all the fabulous dresses and suites you have on. Relax on the way there. You won’t have to worry about you or your parents driving either. Just sit back while you ride to the dance you’ve been waiting for. Get the party started even before you arrive in our limos. With surround sound speaker systems, flat screen TV’s, and LED lights, you can be jamming to some beats even before you step onto the dance floor. Get pumped up for the night you have been waiting for, and don’t worry about the driving. And the party doesn’t have to end when the music does inside. Head back out to your limousine and enjoy the ride back with our professional chauffeur at the wheel. Drive back home in luxury and comfort, and remember that one song that you enjoyed the most. Give San Antonio Top Limo a call, and we can make your Prom or Homecoming the best one you’ve ever had.